In 1861 the federal govt. decided to make trousers from Sky blue cloth as opposed to the once favored Dark Blue Kersey, while dark Blue trousers exist, The number of surviving sky blue kersey trousers outnumber the number of Dark Blue Kersey trousers. I make 2 types of trousers, 1 Being Schuylkill Arsenal trousers and the other being JT Martin contract trousers. 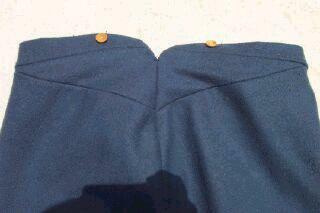 Most original SA trousers have fly facings of cotton drill while the contract trousers seem to use brown polished cotton. 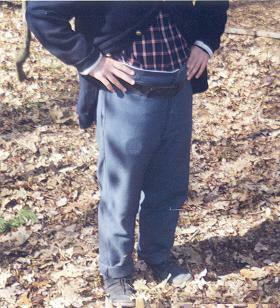 The biggest differences in these trousers is the Varying amounts of hand sewing and the shape's of the Yokes, while SA trousers have a small triangle shaped yoke the Contract trousers feature a unique Kite shaped yoke. - SA trousers, These trousers are made from a 21 oz. 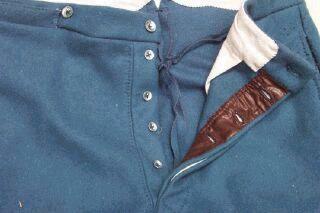 Sky blue Kersey as per originals. 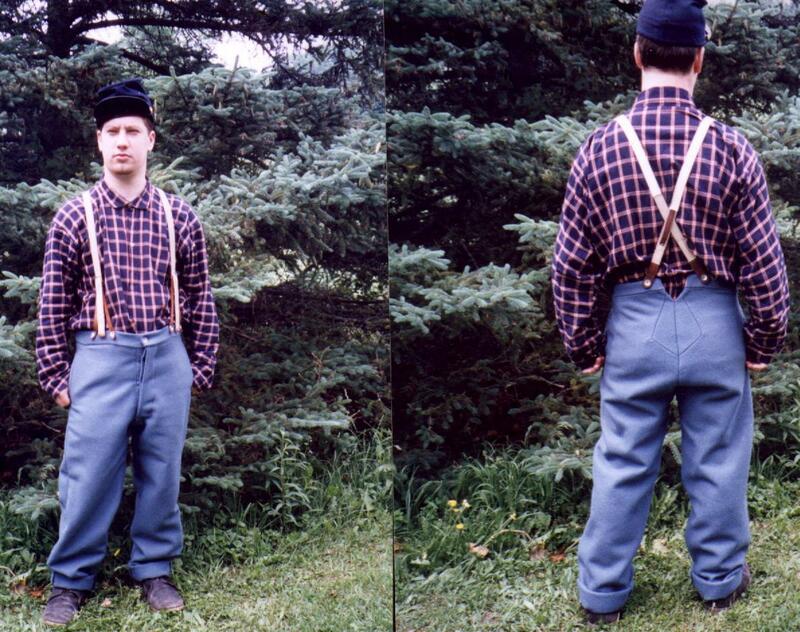 These trousers have all visible stitching handsewn w/ logwood dyed thread per originals. Trousers come with SA and Sizes stamps. Sizes 32-48, sizes 40-42 add $10 to the price. - Copied from an original pair in the Fort Lee Quartermaster museum. J.T. Martin NY or Cinn. 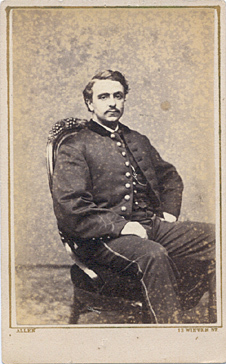 Depot trousers, John T. Martin held several contracts from 1862-1863 numbering 785,000 pair of infantry trousers. 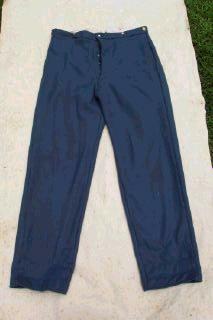 These trousers feature a kite shaped yoke and have no eyelets at the back waistband. These trousers are machine and handsewn as per originals and feature the correct Makers and sizing stamps per originals. Sizes 32-42, sizes 40-42 add $10 to the price.